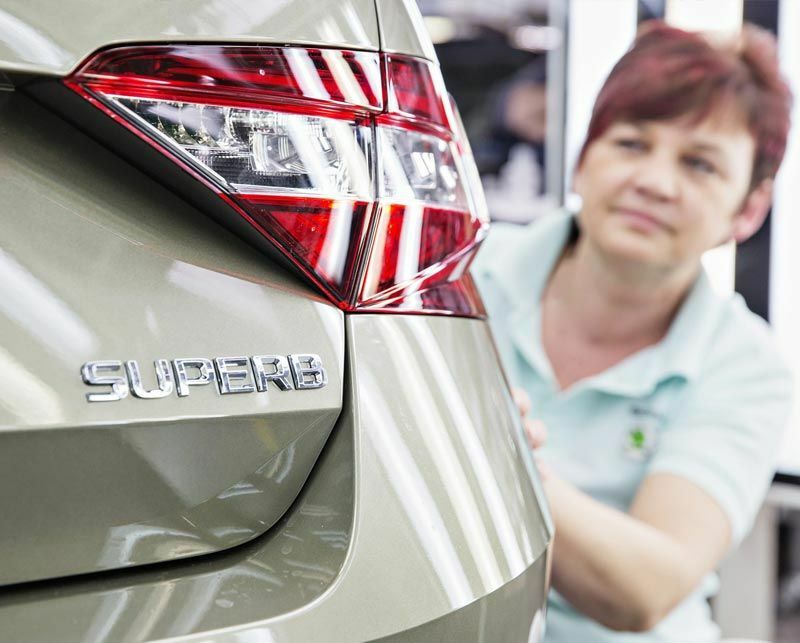 The 500,000th third-generation ŠKODA SUPERB rolled off the production line in Kvasiny, Czech Republic on Friday 22 March 2019. The ŠKODA flagship ushered in a new era for the brand when its production started in March 2015 – with this SUPERB, the Czech carmaker launched the largest model campaign in its history. The ŠKODA SUPERB’s production figures emphasise the success of the brand’s flagship. After the launch of the first generation in 2001, 136,100 of which were produced, the successor experienced a significant rise in the numbers of cars made. Between 2008 and 2015, 618,500 second-generation SUPERBs were built. In March 2015, the current, third generation was launched, since then, 500,000 ŠKODA SUPERB have been produced. In total, 1.25 million units of ŠKODA’s top model have left assembly lines since 2001. In 2019, the SUPERB will start the second half of its model cycle with a comprehensive upgrade and a new plug-in-hybrid version. The success story of the SUPERB range dates back to 1934, when the ŠKODA 640 SUPERB was launched. It was derived from the Latin word ‘superbus’, meaning ‘marvellous’, ‘outstanding’ or ‘magnificent’. The name has always been synonymous with the most supreme of ŠKODAs and – until 1949 – adorned the brand’s luxury limousines. In 2001, 10 years after becoming part of Volkswagen Group, the Czech brand took up the name rich in heritage once again. Seven years later, the second-generation SUPERB made its worldwide debut at the Geneva Motor Show followed by the estate version in 2009. And in 2015, the Czech carmaker set new benchmarks when launching the current SUPERB. In just four years, half a million third-generation models have been created. 358,200 of these were made in Kvasiny alone. Another four production sites have been added since the car was launched: Aurangabad (India), Nanjing (China), Ust-Kamenogorsk (Kazakhstan) and Solomonovo (Ukraine). Today, the SUPERB ranks among the best and most successful mid-size cars across Europe.